The first thing I did after finishing this book was to grab my copy of Blood Ransom. The second was to ask myself how on EARTH I had never read a Sophie McKenzie book before. It really was that good! The story follows two main characters, Rachel and Theo, using a dual narrative. I love this format and it works brilliantly here. I adored Rachel and loved watching her character grow and gain more confidence. Theo is perhaps slightly more distant but that is explored in the story - and I really loved the connection between him and Rachel and watching it gradually develop. The story itself is action packed - I found myself completely gripped from pretty much the first page. McKenzie has a very assessable style of writing that is really easy to get lost in and she is definitely skilled at writing action scenes. I found myself gasping out loud, then holding my breath as I read. I was completely and utterly hooked! I found the book to be written in a very realistic way - making it that bit more believable - and the characterisation is superb. All the characters are fleshed out and I found myself very attached to them all, especially Rachel, Theo, Mel and Lewis. Actually I found myself very taken with Lewis and liked the friendship he develops with Rachel. This is one of those books you are going to want to read in one sitting. Every time I said 'just one more chapter' it got so exciting I just had to keep reading. Even when the book ended I was hungry for more - luckily I had a copy of Blood Ransom to hand! 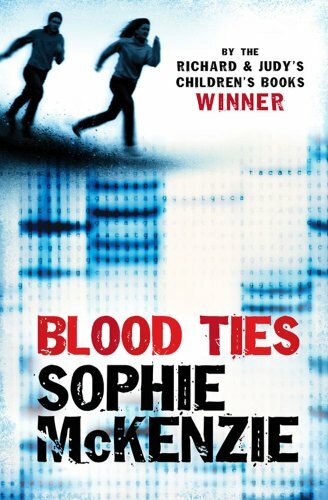 These books are really addictive and I can't wait to try more of Sophie McKenzie's work. O it sounds good. I always love covers where someone is running. I keep wondering how I've never read anything by Sophie Mckenzie before because of reviews like this. I hope that'll change soon!